There’s nothing like the cold, dark days of winter to make one yearn for sunshine! Not only do our friends up in New England get a blast from the polar vortex, but darkness falls shortly after the kids get home from school. 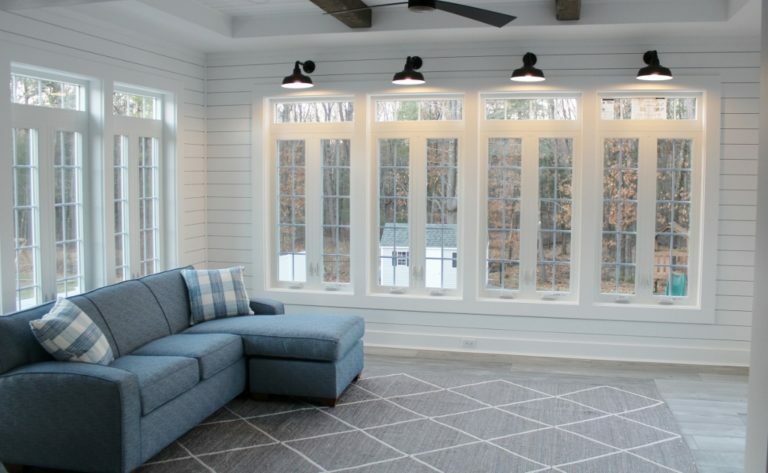 Kimberly, who lives in a small suburb north of Boston, always wanted a sun room in her home where she could get plenty of natural light even during long winter days. 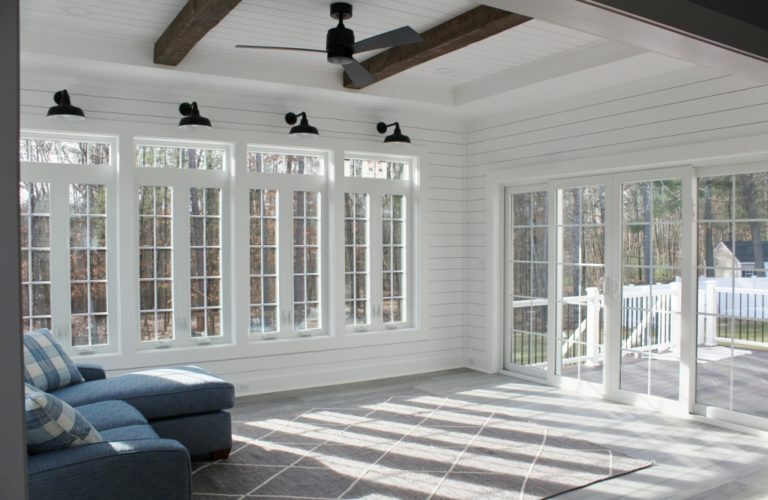 Five years after building a new home, she and her husband decided to expand their two-car garage to a three-car space and add a sun room above. 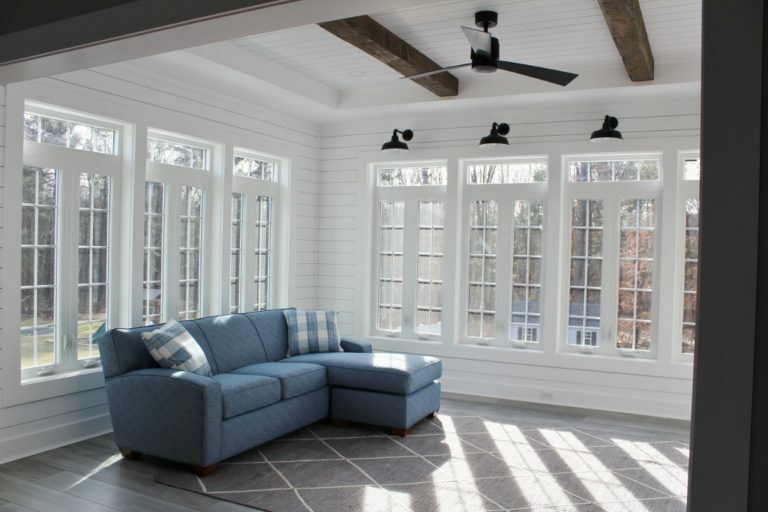 One of Kimberly’s favorite bloggers, @lilypadcottage, created a sun room in her home and installed lighting above the windows. 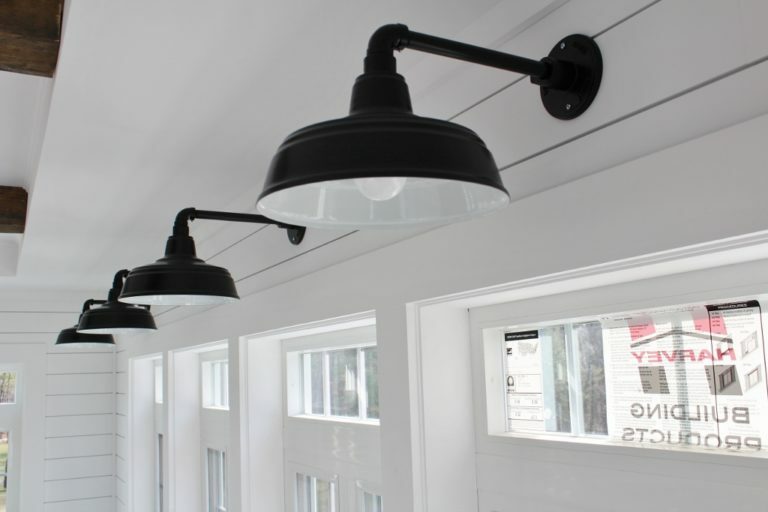 Kimberly fell in love with the look and began searching for barn lights for her new space. 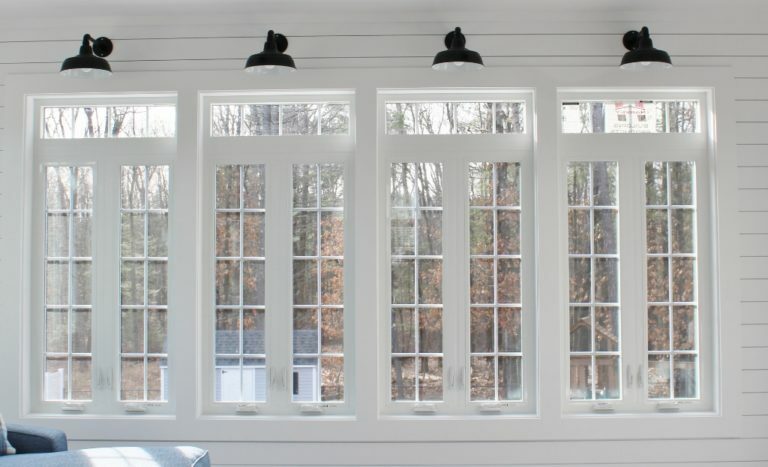 Kimberly chose to highlight her new windows with four All Weather Gooseneck Farm Lights. She customized these handcrafted gooseneck lights with 11″ shades and a Black finish. The straight arm of the G16 gooseneck mounting suits the space above the windows perfectly. 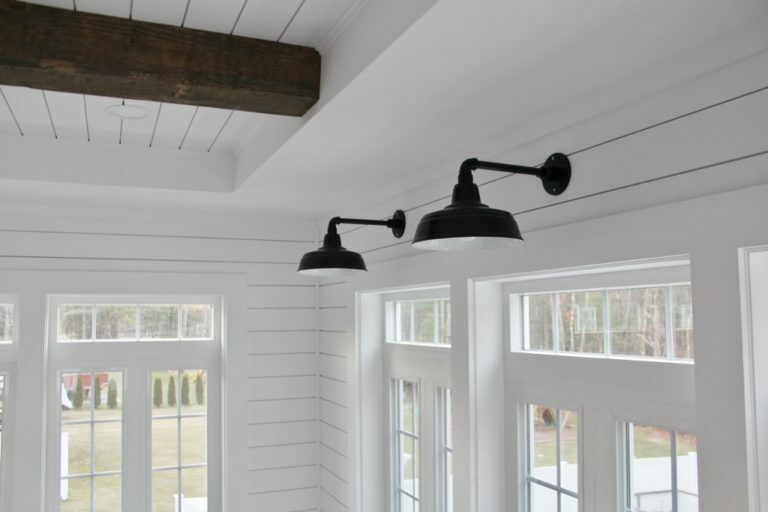 The All Weather Gooseneck Lights are part of our Discount Lighting collection which feature the same quality as all of the fixtures handcrafted by Barn Light Electric. These discounted lights are offered with slightly fewer customizing options. The All Weather Gooseneck Lights Kimberly chose are available in four shade sizes, five finish colors, and with two gooseneck arm options.